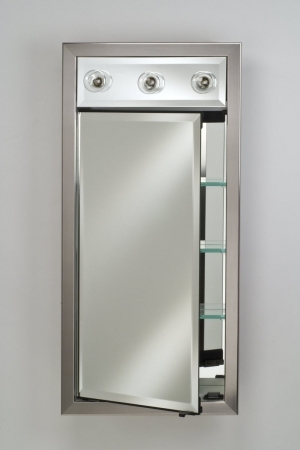 This highly functional medicine cabinet will go perfectly within any bathroom decor with the many choices available for the frame and the lighting fixture. 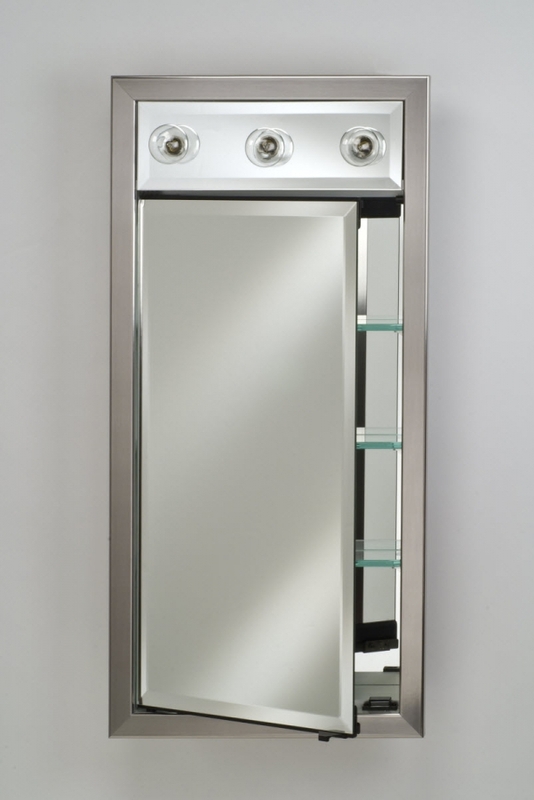 The mirror door provides room for personal reflection and hides the items stored within the interior. The lighting is very useful as well as a great space enhancement.